Many PC games let you play with an Xbox Wireless Controller instead of a keyboard or mouse. 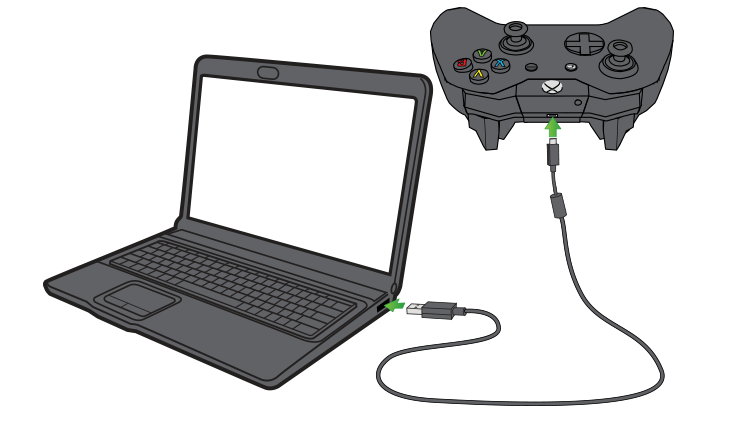 You can connect your controller to a Windows PC by using a USB cable, the Xbox Wireless Adapter for Windows, or over Bluetooth. Some PCs also come with Xbox Wireless built in, so you can connect a controller directly without an adapter. Plug a USB charging cable into the front of the controller and plug the other end into your PC. With USB connections, you can connect 8 Xbox Wireless Controllers at the same time, or 4 controllers that have Xbox Chat Headsets attached. If the controllers have Xbox Stereo Headsets, only 2 can be connected at the same time. On your PC, go to Settings > Devices. Choose Add Bluetooth or other device. With Xbox Wireless connections, you can connect 8 Xbox Wireless Controllers at the same time, or 4 controllers that have Xbox Chat Headsets attached. If the controllers have Xbox Stereo Headsets, only 2 can be connected at the same time. To ensure you have the latest firmware for your controller and headset, see Update your Xbox One Controller. For more information, see Set up the Xbox Wireless Adapter for Windows. This adapter comes either by itself, or in a bundle with an Xbox Wireless Controller. The Xbox Wireless Adapter for Windows may not be available in all markets. When Airplane mode is on, the Xbox Accessories Radio is turned off by default. You will need to turn it back on if you want to use this function while in Airplane mode. 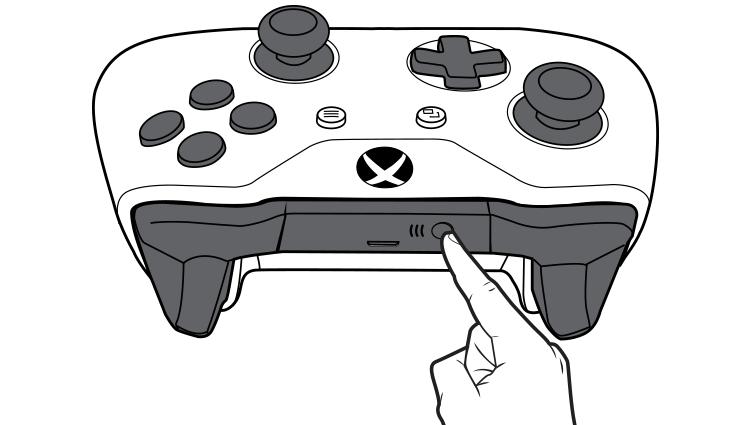 On Bluetooth-supported controllers, the plastic around the Xbox button is part of the face of the controller. On controllers without Bluetooth, the plastic around the Xbox button is part of the top, where the bumpers are. Bluetooth requires a PC running the Windows 10 Anniversary Update. See Windows Update: FAQ to learn how to get the latest Windows update. For best performance, update your controller. See How to update your Xbox One Controller on Windows 10. Bluetooth is supported on PCs, tablets, and laptops. It is not supported on mobile devices. Bluetooth does not support any attachments, such as headsets, chatpads, or the Xbox Stereo Adapter. We recommend connecting only one controller at a time using Bluetooth. Make sure you have updated your PC to the Windows 10 Anniversary Update. See Windows Update: FAQ to learn how to get the latest Windows update. Turn on your Xbox Wireless Controller by pressing the Xbox button. Press the controller Connect button for three seconds and release. On your PC, select Start, then Settings > Devices > Bluetooth & other devices. Turn on Bluetooth so your PC can discover Bluetooth devices. Select Xbox Wireless Controller > Pair. For help with Bluetooth, see Connect and troubleshoot Bluetooth on your Xbox One Wireless Controller. When you connect an Xbox Wireless Controller to your Windows 8.1 or Windows 7 PC with a micro-USB cable, Windows will automatically download and install the drivers for the controller. If Windows is not set to automatically download device software, you can check for updates through Device Manager. Point to the lower-right corner of the screen, move the mouse pointer up, and then select Search. Enter Device Manager in the search box, and then select Device Manager. Note Windows may ask you for an administrator password or to confirm your choice. Locate and expand Microsoft Xbox One Controller. Right-click the expanded Microsoft Xbox One Controller and select Update Driver Software. Select Search Automatically for Updated Software. With Xbox Wireless or USB connections, you can connect 4 Xbox Wireless Controllers at the same time. You won’t get audio through the controller so there’s no need to connect a headset. Bluetooth connections are not supported. If the controller doesn't respond, try a different micro-USB cable. To use your Xbox Wireless Controller with your console after using it with a PC, you must re-sync the controller to the console. You can do this by using the wireless sync button or a USB cable. For details, see Connect a wireless Xbox One controller to your console. This information applies only to Xbox One Wireless Controllers. 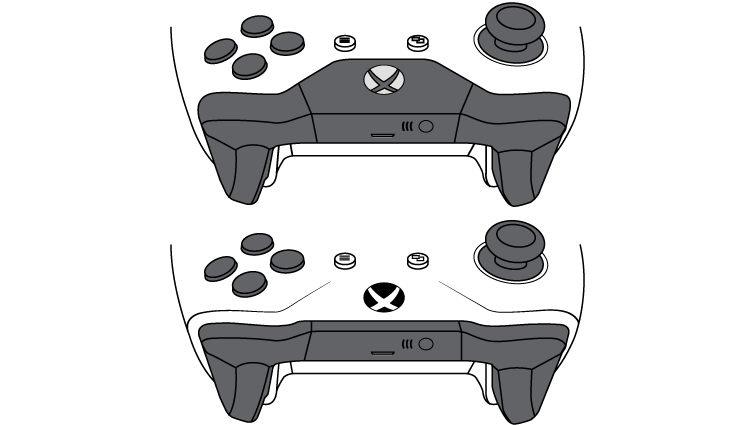 For help with other gamepads or joysticks or for information on configuring a specific game so that you can play it with a controller, refer to the manufacturer’s website. To provide better support, did this solution solve your problem? Would you like to contact Support regarding the "How to connect an Xbox One Wireless Controller to a Windows PC" issue you were reading about or a different issue?